Download videos from URL in one click. Download videos from more than 10,000 video sites. Download multiple video URLs in one time. Download entire playlist from YouTube easily. Download videos from URL to a private folder. There're lots of websites have embedded YouTube videos on their pages, and if you want to save this video to your computer, you'll need the help of a URL video downloader, and you don't need to navigate to the video sharing site to download video from URL. Downloading video from URL link is the easiest way that you can capture the video you find and convert it to your desired format so you can use it for your different purposes. In this article, we're going to introduce several helpful solutions for you to download any video from any site using URL. iTube HD Video Downloader allows you to download video from URL on any site. 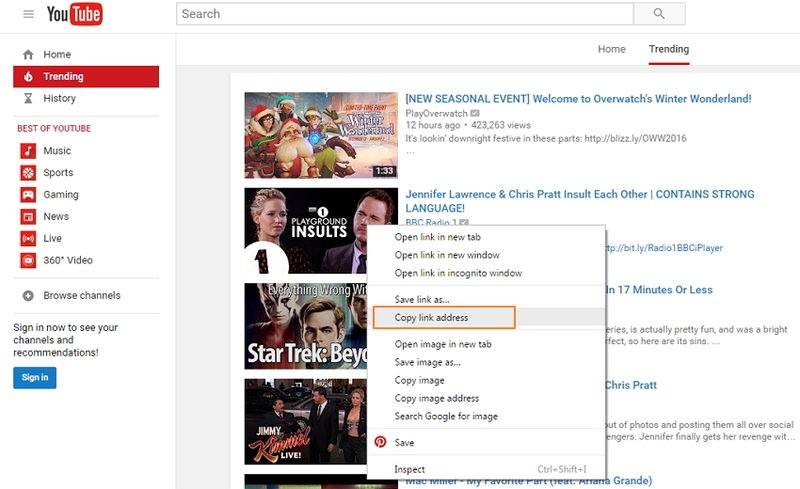 You'll only need to copy the URL of the video from video sharing sites, and then you can download it with ease. Besides the copy & paste methods, iTube HD Video Downloader also enables you to download video from link within your browser directly, or search then download video with the built-in browser of this program. In this part, we're going to introduce how to download videos from URL with iTube HD Video Downloader in detail. Download videos from URL in more than 10,000 video sharing websites. Exceptionally good in converting any video to more than 150 file formats for the downloaded online videos. Enable you to download multiple videos from URL up to 1,000 URL links. Private Mode to fully protect your downloaded online URL video downloading information with a password. Now I will show you how to download any video online from URL with iTube HD Video Downloader, and then convert to the format you want. iTube HD Video Downloader is fully compatible with Mac OS X 10.6 or later, and Windows XP or later. Download and install iTube HD Video Downloader on your computer, and then start it to get prepared for downloading video from URL. 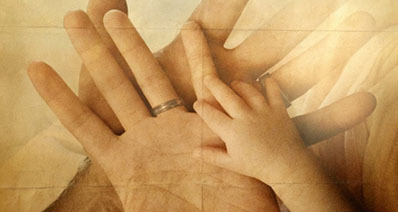 Go to the video sharing site, and copy the video URL by right-clicking the video and choose Copy link address. Now go to iTube HD Video Downloader and click the Paste URL button. The program will automatically analyze the URL and display the downloadable resolutions. Click Download Now button to get the video from URL. Firstly, install the browser extension by clicking Menu icon > Preferences > Extensions. Then you can go to the video sharing site and search for the video you'd like to download, and you'll see the Download button at the upper right corner of the video screen. Simply click the button to download the video. The video will be downloaded from URL with 3X faster speed. You can add other videos as well while downloading previous one. Once the download finishes, you'll get the videos Downloaded tab. With iTube HD Video Downloader, it's easy to download video from URL within your browser. It's easy to convert the downloaded videos to the format you want by adding them to the Convert List. With the help of iTube HD Video Downloader, you're also able to transfer downloaded videos to your iOS or Android devices without any hassle. You can download video from URL and have an enjoyment on any device you want. With Catchvideo URL video downloader, you can download videos by URL link from YouTube and several other popular sites. Catchvideo enables you to download video one by one with several simple steps, but the downloading process will take a while because its downloading and converting servers are set overseas. Online Video Converter also supports to download videos from YouTube video URL. This website is a great online video downloading, but it only supports several popular formats. 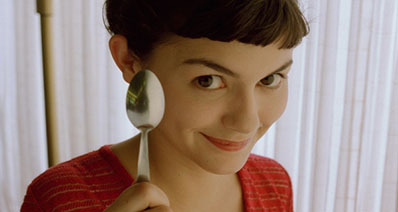 This online video downloading site is full of annoying ads and it takes time closing when you click the ads by accident. 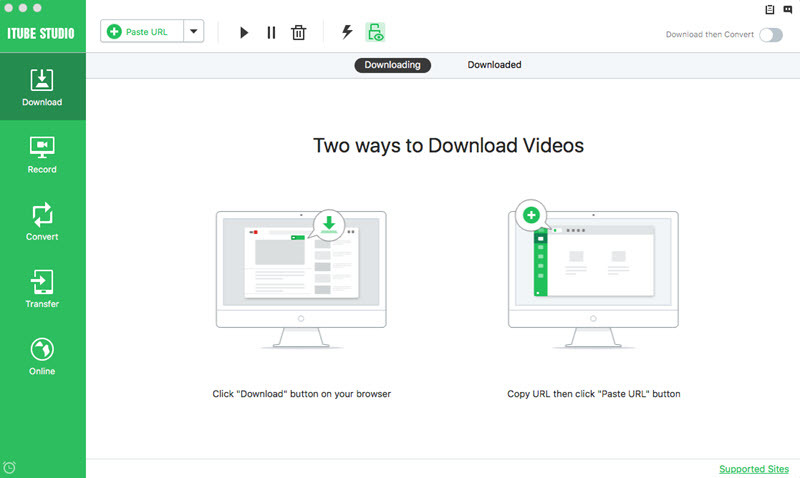 As a well-known popular online URL video downloading tool for years, SaveFrom helps you to download online videos from YouTube and several other websites. Savefrom also has a downloader extension to help you download video one by one. Free YouTube Downloader of AmoyShare is another online video downloader that enables you to download videos from URL easily. As a tradition video downloader service, you'll need to wait for the server to analyze the video URL and then download. The downloading process may take a while. 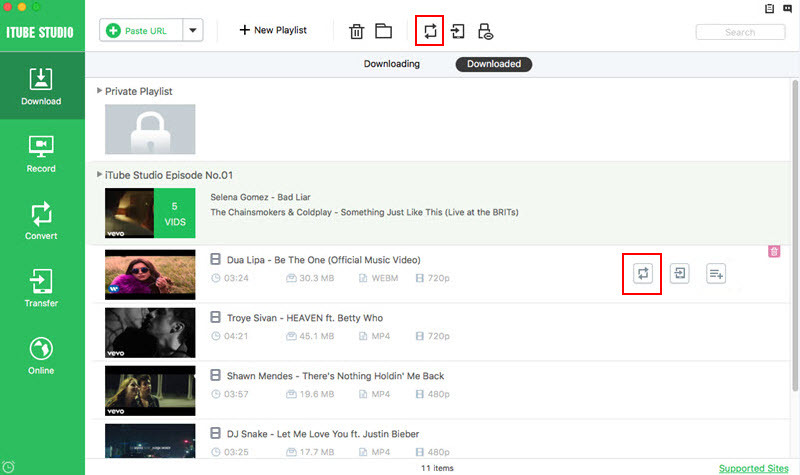 KeepDownloading can is also helpful for downloading videos online from URL. Keepdownloading supports to download videos from URL from YouTube and several other sites, but the site has many pop-up ads. Savethevideo.com comes with a simple interface for downloading videos by URL online. 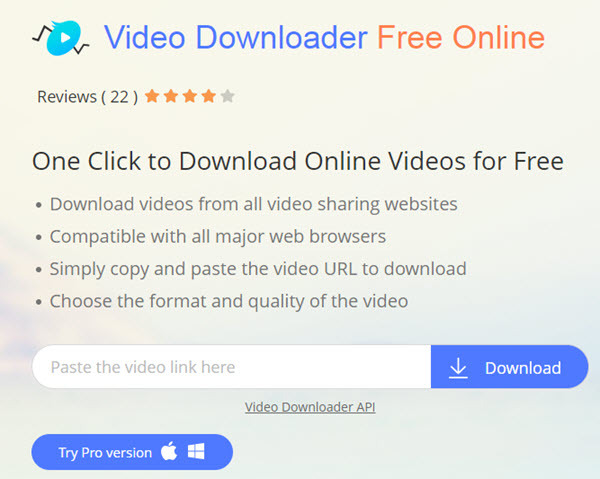 With the help of this online video downloader, you can download videos from URL in easy steps. But this site only supports few video sharing sites, and it has pop-up ads when you download videos. By entering the URL of Facebook videos, you can easily download any videos online by URL links from Facebook. This site enables you to download videos from Facebook by pasting URL one by one, But this URL video downloader only supports Facebook site. Video Grabber is also a helpful online URL downloader. This online URL downloader doesn't only offer video downloading online service, but also provides online video converter and video recorder tool. This online video downloader also provides a video list for you to get the latest videos to download. 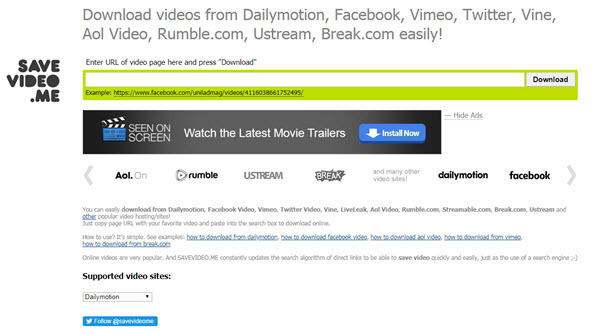 You can easily download videos from Dailymotion and several other popular video sites with the help of SaveVideo.me. You can also download video from URL by pasting the URL into this website, But be careful with the ads which may lead you to the sneaky sites. AceThinker provides with online URL downloader service. You can download a video once in one time, but the download host server is provided by API from other sites, which means that the downloading experience may be not as stable as original ones. Although these URL video downloaders online offer easier ways to download videos from URL, they always contain ads or bad experience when you hold a frequent demand or have to download a huge video file. iTube HD Video Downloader, the desktop solution, provides you 3x faster downloading speed with much more stable downloading process, and 100% safe and ad-free downloading experience. iTube HD Video Downloader helps you to download videos in a click without starting the program. You just need to install the iTube downloader extension in your browser, and then go to find the video you want to download. You'll see a Download button which allows you to download the video directly. In many countries, it's not possible to visit the video sharing sites. But you don’t need to worry about it, as there are so many free and paid VPN services available over Internet which enable you to access the video sharing sites. 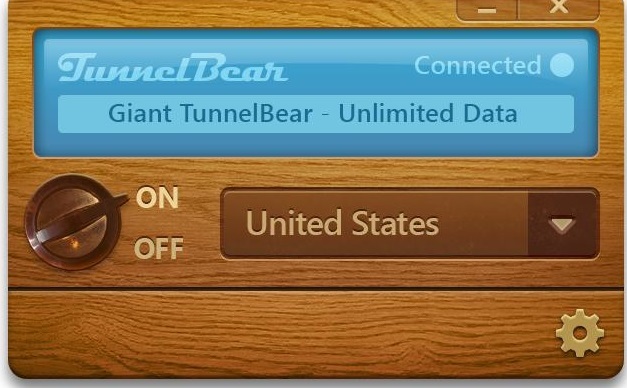 For example, Tunnelbear, enables you to visit banned sites in your country. It's free to use up to 2GB but after that you have to pay for it. Once video sites are open you can easily download videos with URL downloader software or online url downloaders. 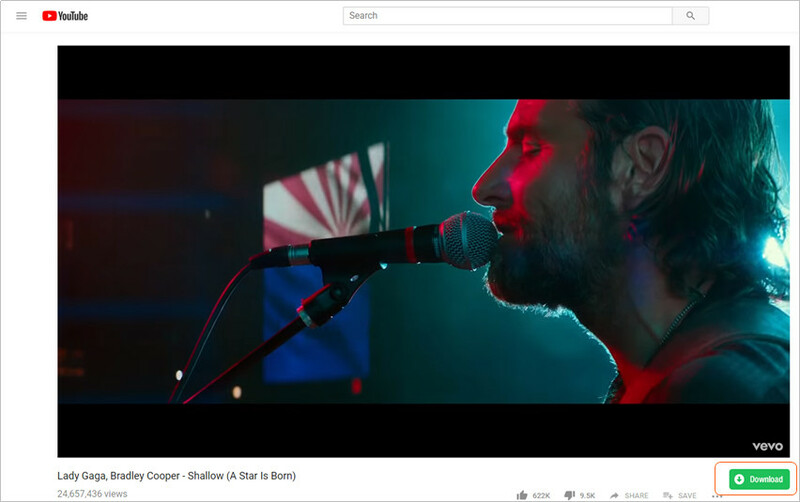 iTube HD Video Downloader allows to download videos online using URL links from YouTube, Facebook, Vimeo, Myspace, Dailymotion, Metacafe, MTV and other 10,000+ video and music sites. In case that you couldn't find the video URL, you can also activate the RECORD feature of iTube HD Video Downloader to capture the online live session with 1 click. With the help of this powerful video downloader, you can have any online video saved if the video can be played. With the latest version of iTube HD Video Downloader, you can download multiple videos simultaneously. When you want to download multiple videos from links in one time, just copy and paste all the online video links to the program, and click the Download button. Then iTube HD Video Downloader will initiate the downloading process immediately. iTube HD Video Downloader allows you to save your videos to a hidden folder with its Private Mode. You only need to activate the Private Mode and set a password, then add the videos into the Private List generated from the previous step. Click to confirm, and ta-da! No one could watch the videos any more unless they get your password. iTube HD Video Downloader also provides a Download then Convert mode to help you download and convert videos with no delay. For most people, video playback on their mobile devices is one of the main requirements nowadays With iTube HD Video Downloader, users can download and convert videos for their iPhone, iPad, Android and more in one click. You only need to toggle on the Download then Convert mode in the program, and select an format for output. When the program finishes downloading videos from URL, it will convert the video automatically. Spending time on turning to third-party programs? No need! Just sync your mobile devices to your Mac or Windows PC, select the videos you want to watch, enjoy the fast-speed transferring of this ultimate one-stop URL video downloader.